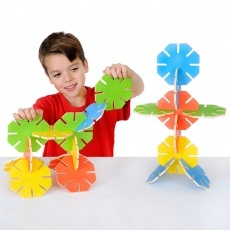 Following the popularity of plastic Octoplay, we have now developed a brand new wooden version called Wooden Octoplay. All the pieces measure 12 x 12cm, are 6mm thick, and slot together with ease. A range of models can be made with these sets, and the design possibilities are endless. 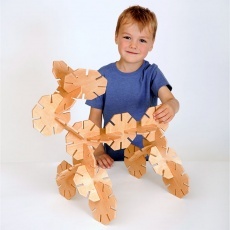 We have made Wooden Octoplay in both natural and coloured plywood.